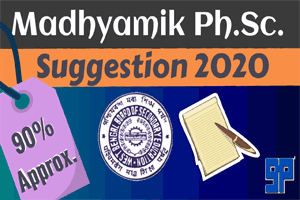 Download “Madhyamik Physical Science Suggestion 2020” PDF for well Exam Preparation. 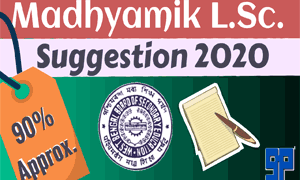 It will surely help you to be prepare yourself minutely in the West Bengal Secondary Examination Madhyamik Physical Science Suggestion 2020. Read the following guidelines about 2020 Physical Science Suggestion. 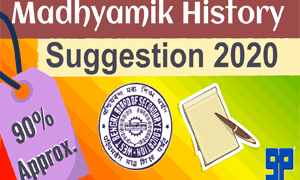 Download Madhyamik 2020 Physical Science Summerative Exam Syllabus and Marks Distribution. All the Madhyamik candidates which are first to prepare such kind of important examination in their life. So it is usual that will be frightful to every students. But Being honest we recommend them not to be afraid but be practical enough.We provide not only Bengali Subject Suggestion but also all Subjects Suggestions. We provide West Bengal Madhyamik and Higher Secondary suggestions plus Study Materials. We have been receiving good response from all the students in West Bengal.